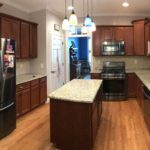 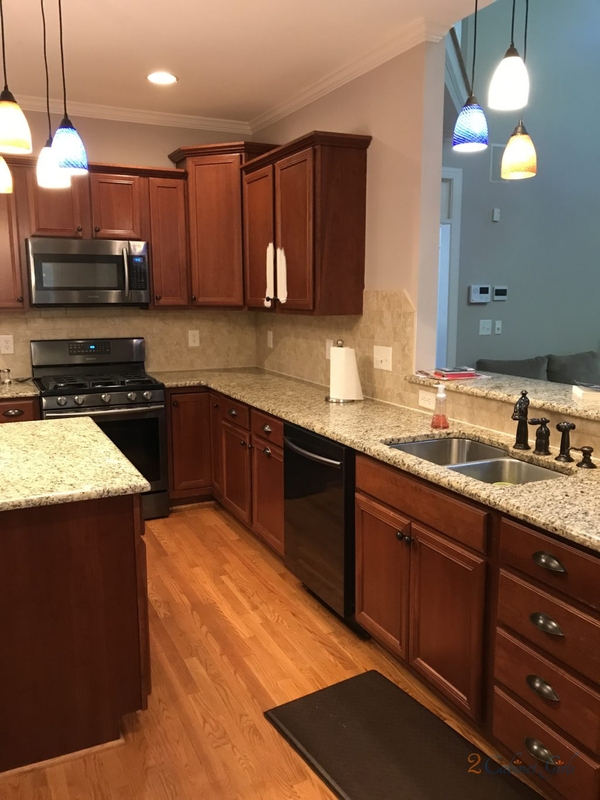 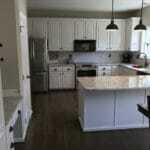 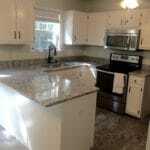 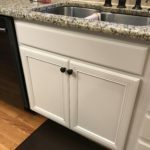 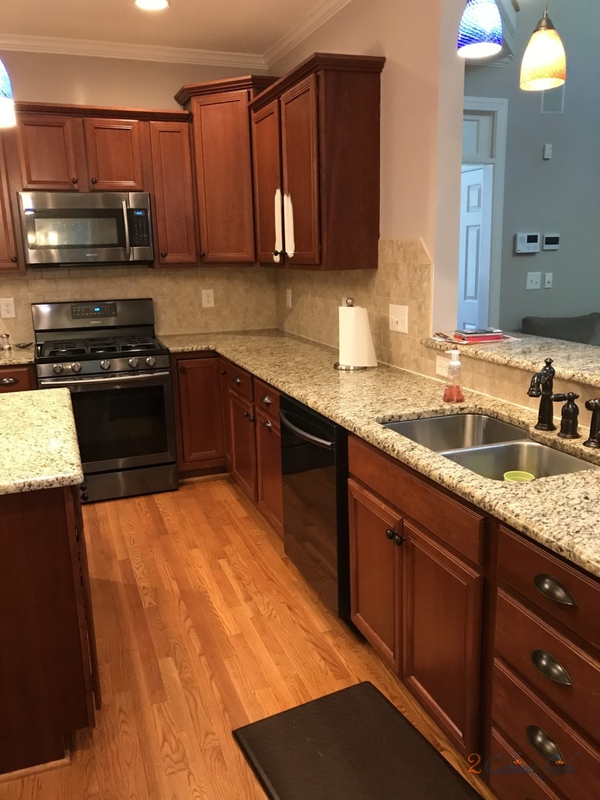 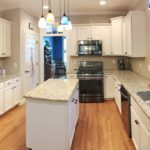 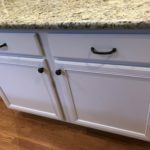 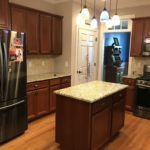 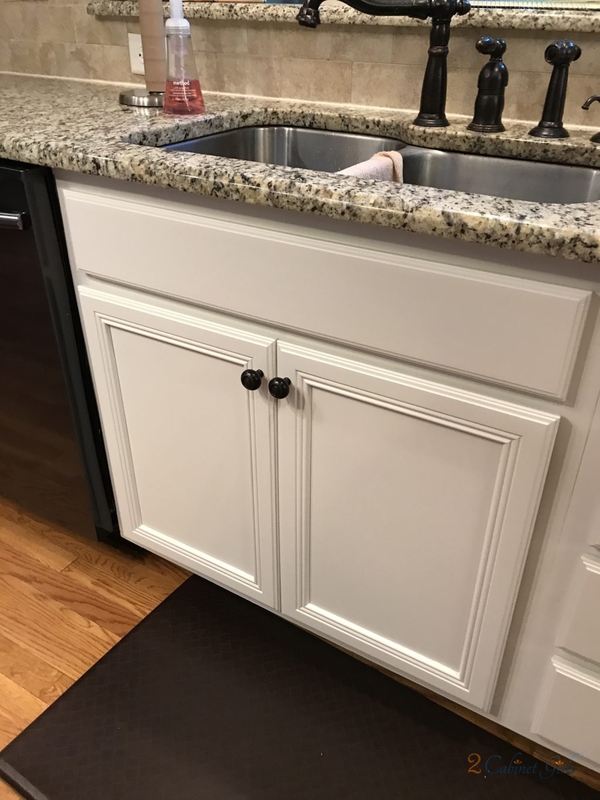 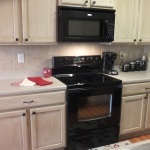 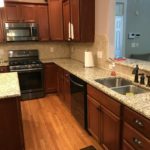 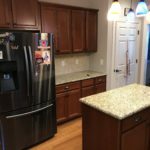 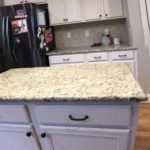 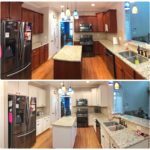 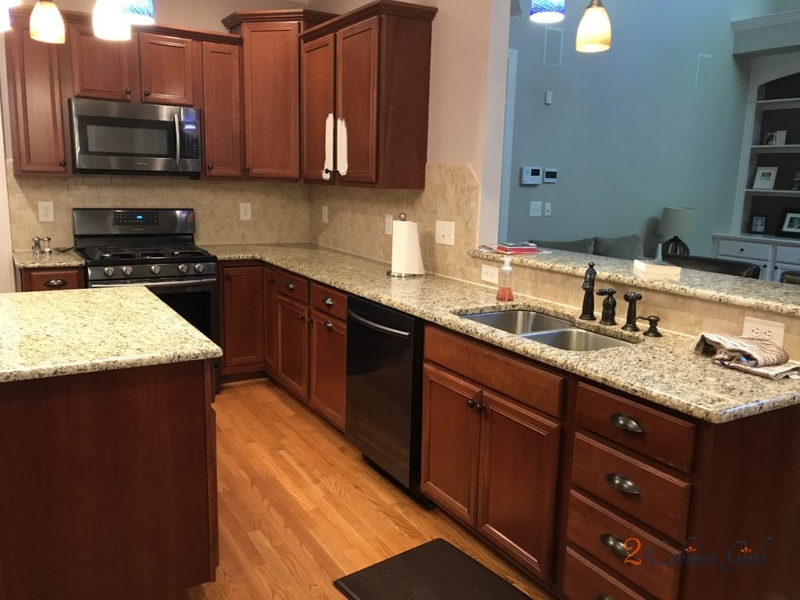 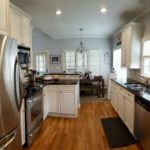 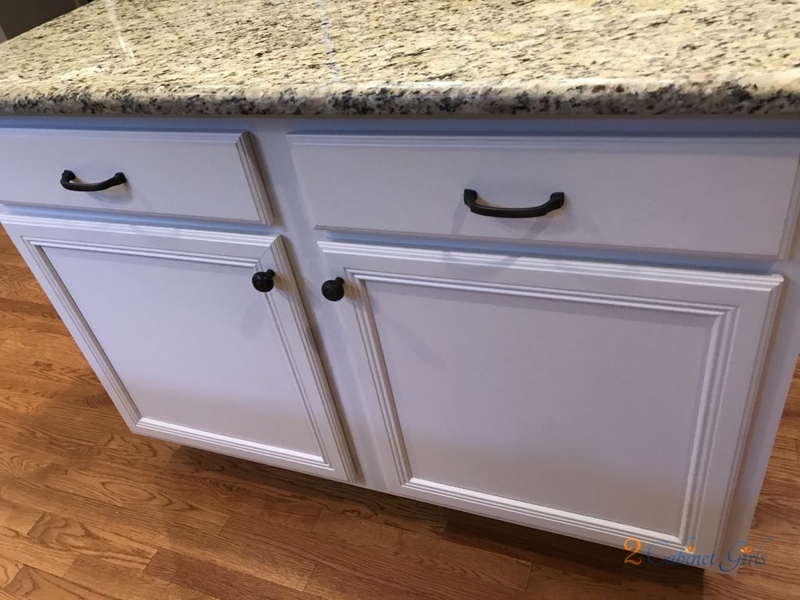 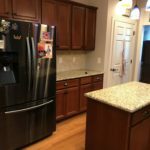 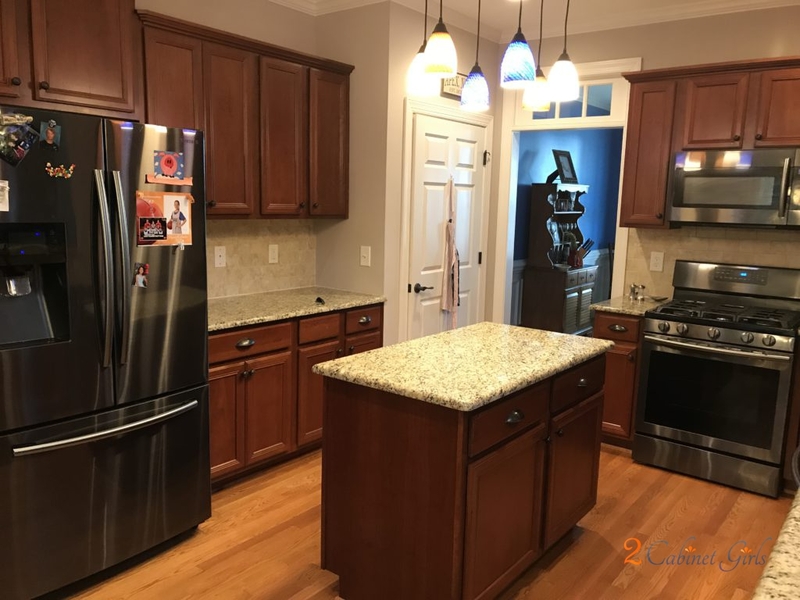 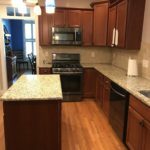 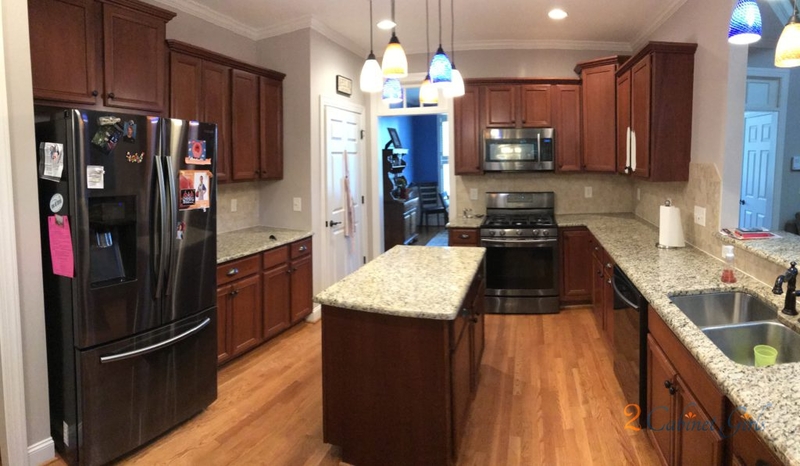 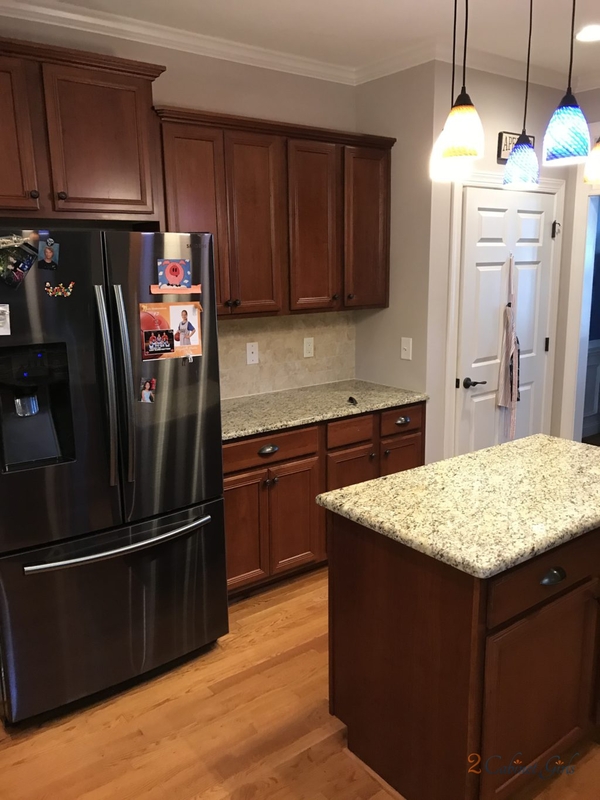 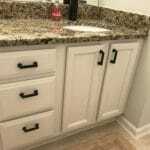 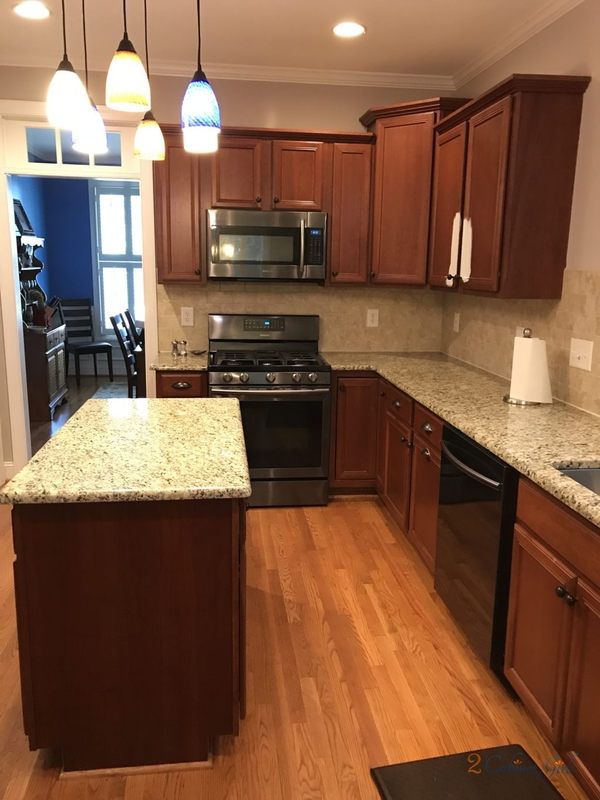 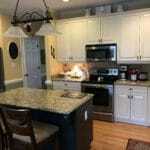 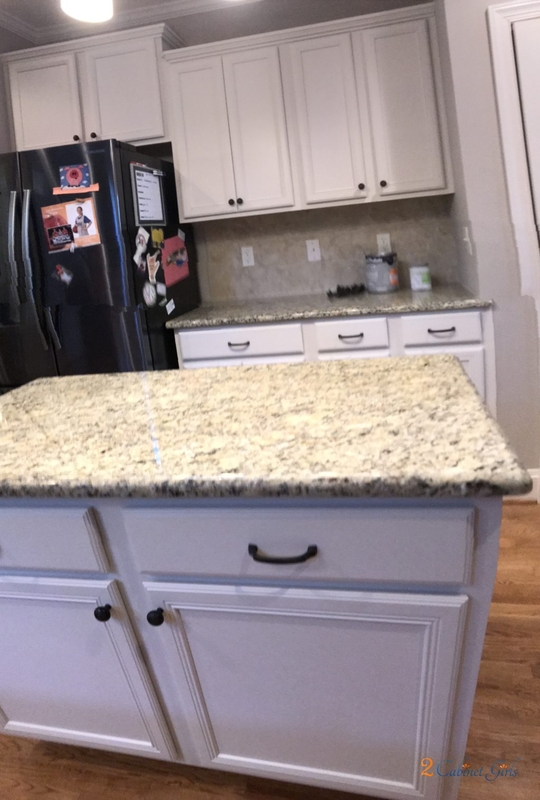 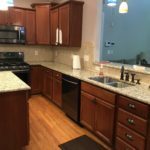 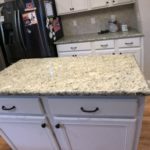 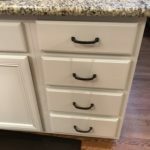 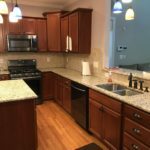 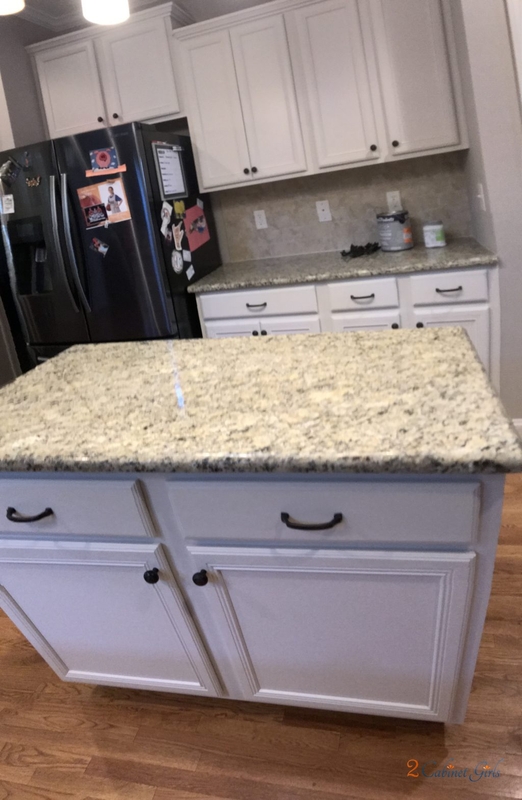 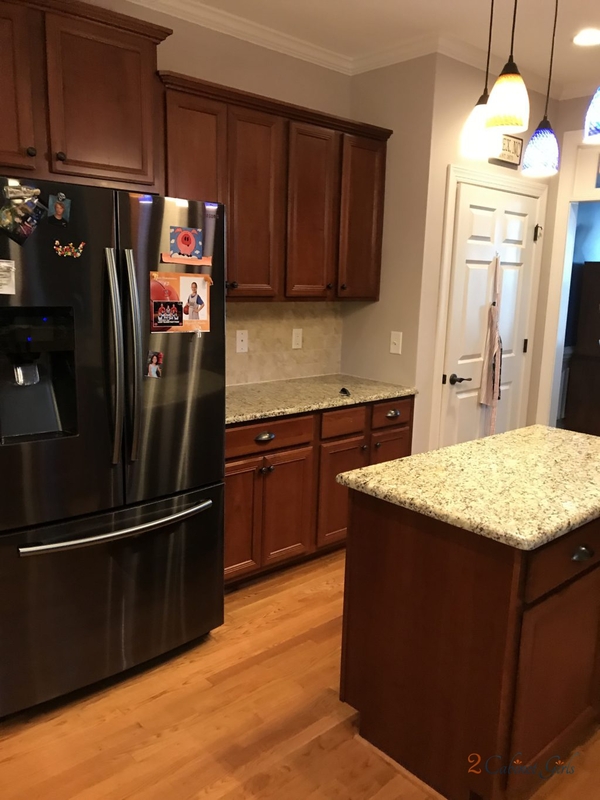 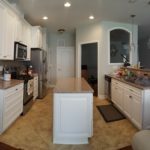 Our homeowner chose Sherwin Williams White Duck for her kitchen cabinets. 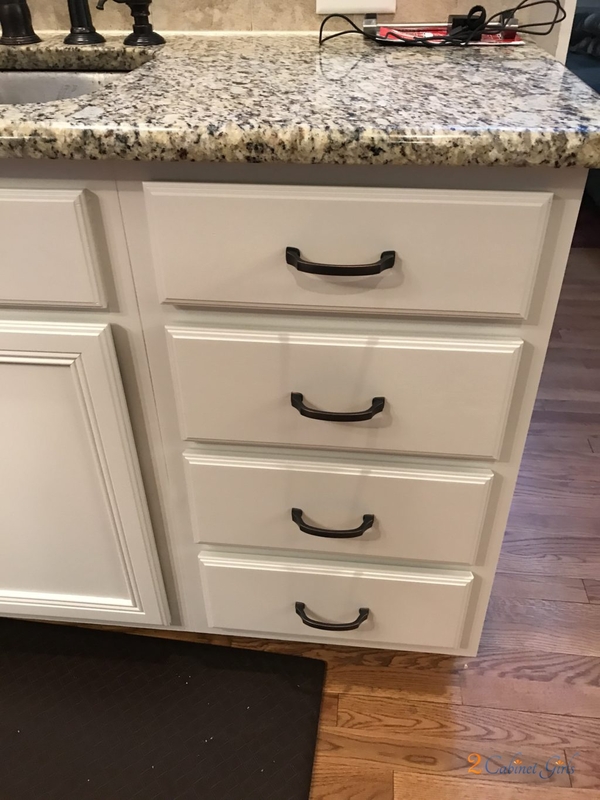 It’s a soft white with warm beige undertones. 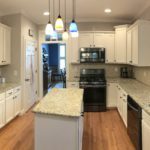 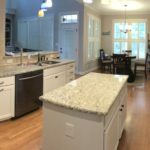 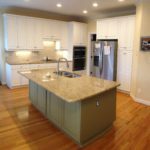 The color makes the space feel so huge and inviting and now the pretty features, like the granite counters, and the colorful light fixture can take center stage. 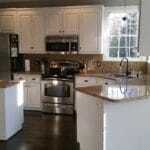 And it’s one of HGTV Home by Sherwin Williams’ Perfect White Colors.